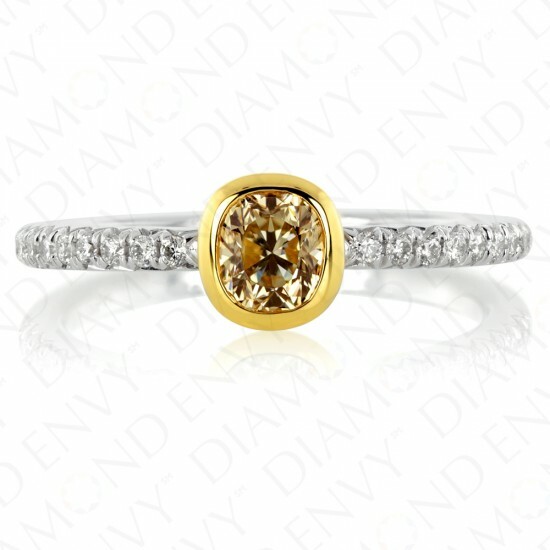 The oval cut natural yellow diamond, bezel set at the center of the ring offers immense sparkle. 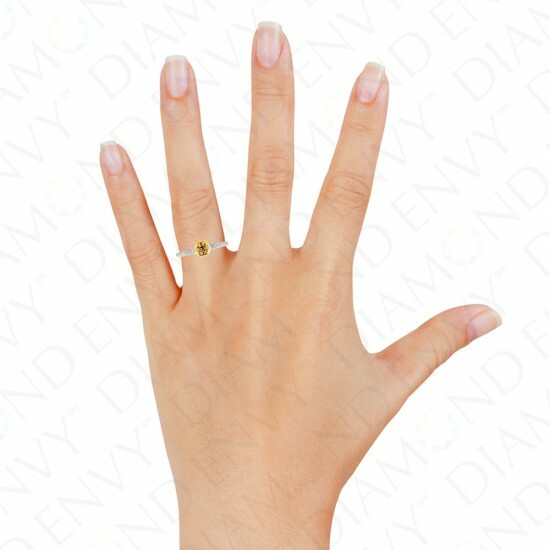 The delicate band of this solitaire ring is also covered with pave set white diamonds for even more brilliance. 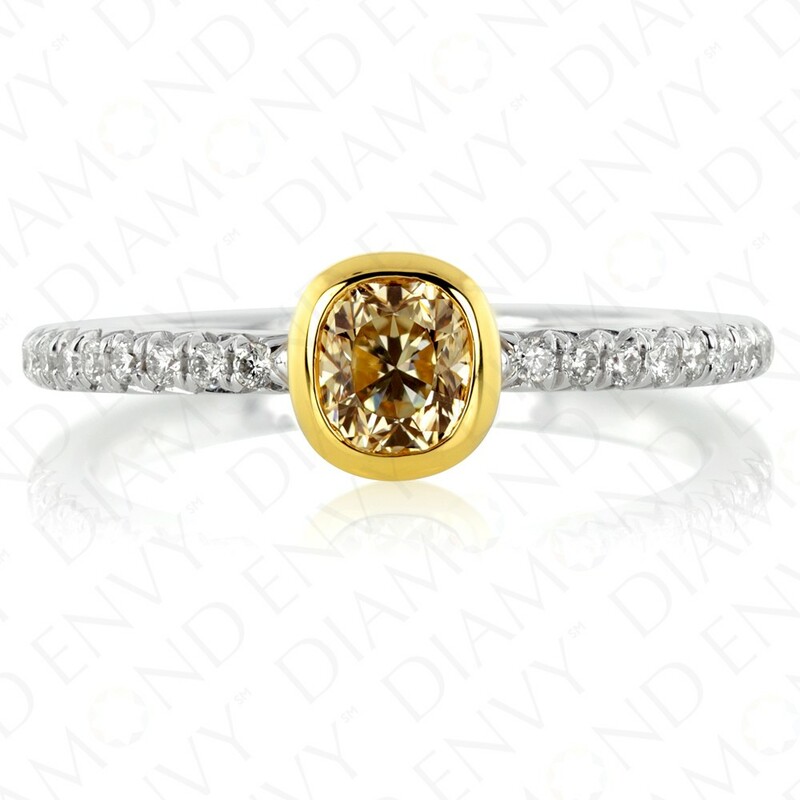 The bezel set oval cut yellow diamond at the center of the ring This ring can easily be seen worn as an engagement ring or a beautiful addition to theis popular stackable style. 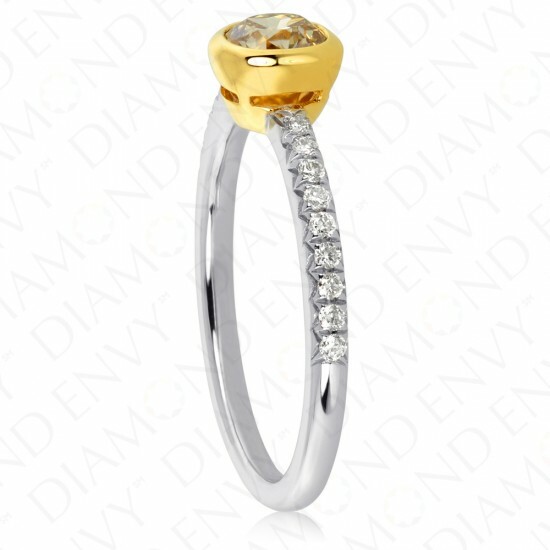 18K two-tone gold. House graded. The best gifts are those with special meaning. 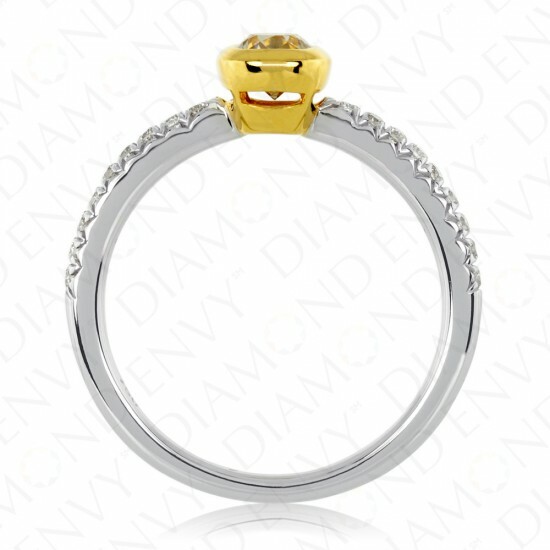 Treat yourself or someone you love to conflict-free, natural colored diamond jewelry from Diamond Envy’s top gift ideas for her. Shop confidently with our 100% satisfaction guarantee and 60-day hassle-free return policy. 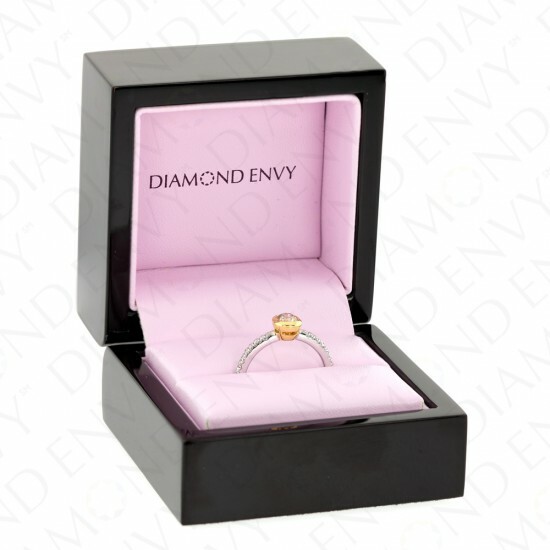 We make gift giving easy with the best selection of diamond jewelry and free shipping on every order.